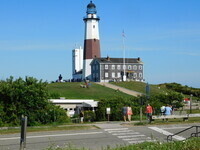 Montauk, at the eastern most point of Long Island, is one of New York's premiere seaside resort communities. Montauk is world renowned for its captivating coastlines and pristine beaches on the Atlantic Ocean and Block Island Sound. Over 70 hotels, motels, B&B's and guest houses to choose from; spectacular fishing, a myriad of water sports, world class golf, tennis, and abundant restaurants featuring the freshest seafood and in many cases stunning views while you dine. The variety of shops and boutiques offer something for everyone's pocketbook. Sport Fishing Capital of the World; Montauk boasts more than 20 marinas over 200 charter/party fishing boats many reeling in world record and prize winning catches of tuna, shark, striped bass, and fluke, just to name a few. 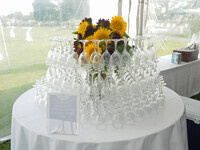 Surf casters and fly fishing enthusiasts never miss an opportunity to cast or reel in a catch while in Montauk. Surfers travel from far and wide to be challenged by the surf at our famous Ditch Plains where major surfing contests have been held. Sun worshipers enjoy the white sands of both our Ocean and Sound beaches. Stand Up Paddlers share our beautiful For Pond Bay with colorful sunfish, kayaks, canoes, paddle boats, and row boats. For the naturalist, we offer miles of scenic and unspoiled incredible trails for bikers and hikers of all levels. 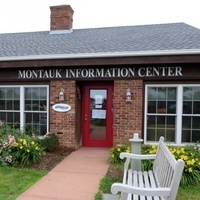 There are several large ocean side state parks and Montauk County park set asides for camping, biking, hiking, seal watching, bird watching or just take in the breathtaking scenery.